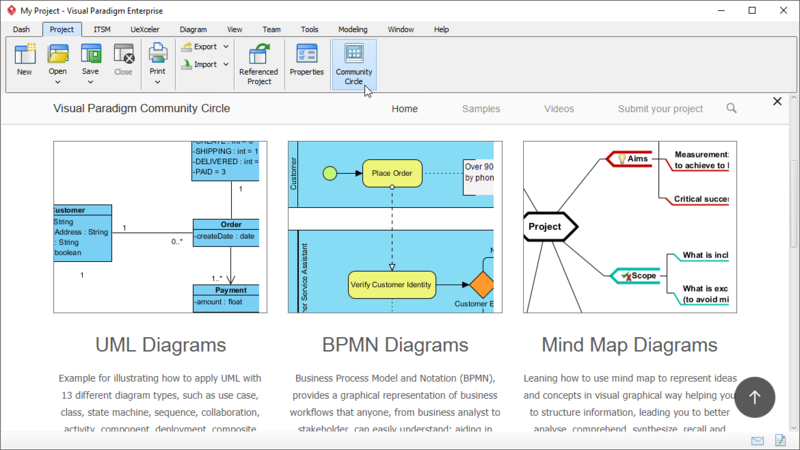 Learning by example is one of the best strategy to kick-starting Visual Paradigm. 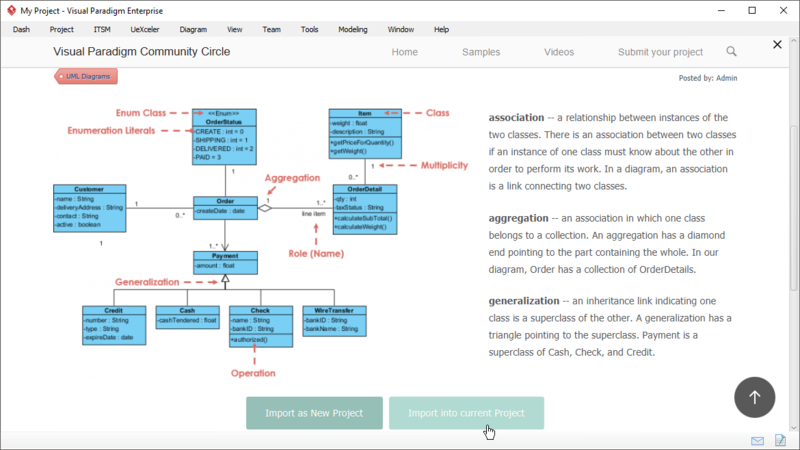 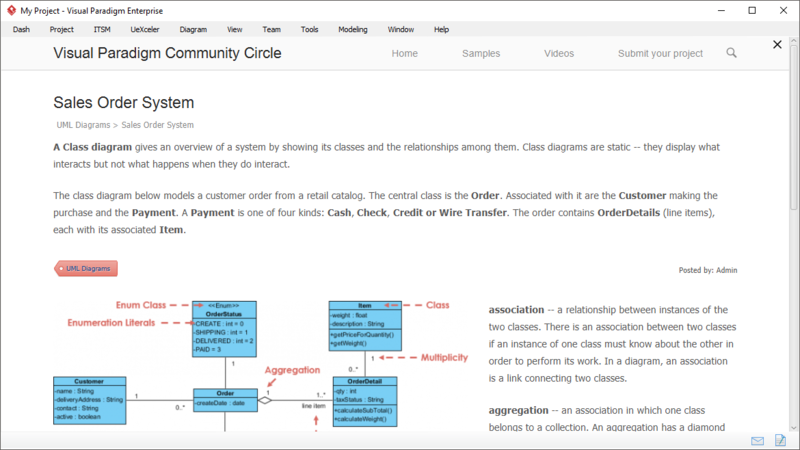 Visual Paradigm Community Circle lets you view and learn Visual Paradigm by importing selected diagrams straight into the Visual Paradigm platform for experimenting, practicing and making your own! 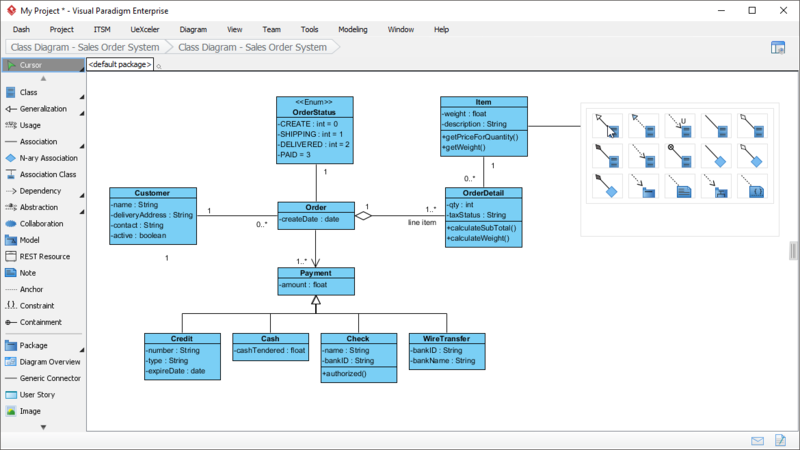 You can also take advantage of the annotated examples in learning different modeling languages such as UML, SysML, ArchiMate 3, BPMN, etc.